As a child, Ryan Brooks was in a horrific car crash. His life was saved by a stranger who pulled him out of the burning wreckage. Every year since then, Mike O'Donnell sends Ryan a birthday card. One year, Ryan gets no card. He calls the O'Donnells and finds out that Mike is dying. Ryan decides he must head back to Wyoming to say goodbye to Mike and try to put into words the impact that he has had on his life. He immediately connects with Mike's wife Alessandra and his daughter Shannon. His trip ultimately becomes one of stories - the true story of what happened the day of the accident, the story of his parents, the story of Alessandra's past, and the story of Ryan and the O'Donnell family. The Devoted is a beautifully written book about the ways in which secrets can eat away at those who keep them and love can sustain us for a lifetime. The characters are nuanced and wonderfully flawed. Each character is given enough attention that you feel you truly know them, from Ryan and Mike to Ryan's parents to Alessandra's family in a small Italian village. Everyone in this story is trying to do the best thing for the people they love. You are rooting for them to succeed, for their relationships to be salvaged, and for their lives to have a happy ending even when you suspect that it will not happen that way. The storylines in the past and the present are equally compelling. So often, as readers, we find ourselves wishing to get back to one story or another. But in The Devoted, I was equally fascinated by Ryan's attempts to understand the man who saved his life and the story of Alessandra's coming of age in Italy during the Second World War. The transitions can sometimes be awkward. There were times when I was unsure that people who had barely met would open up to each other to such a great extent. But once those stories of love and loss began, I was completely engaged. Jonathan Hull is an incredibly gifted writer. He easily puts the complexities of our lives and relationships into words and creates characters that you will be thinking of long after you close the book. 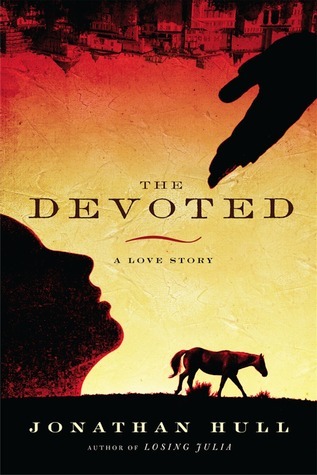 The Devoted is a complex story that will often surprise its readers with its rich family saga, sweeping history, and realistic love story. I am thrilled to have received this book and to have discovered Mr. Hull as an author. To the ladies and gentlemen of the FTC: This book was sent to me by the author in exchange for an honest review. I haven't heard of this one and it sounds great! You are so good at blowing up my tbr pile girl! I hope you enjoy it. It's a great book. Hey everyone, we are still here! It's Monday and I have a giveaway! Let's Do the Readathon Again! Ladies and Gents, It's Monday!